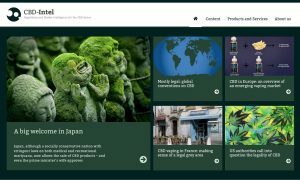 A new online publication and research resource launched this week will be the first to focus on the fast-growing CBD industry in Europe and worldwide. CBD-Intel will provide comprehensive market and legal analysis as well as a daily news service. It is published by Tamarind Media, which since 2014 has been the leader in providing executive-level information and insight for the e-cigarette market through ECigIntelligence. Like ECigIntelligence, CBD-Intel is based on a paid subscription model and accepts no advertising, guaranteeing its editorial independence. It will provide unparalleled coverage by drawing on a team of more than 20 legal and market analysts, reporters and editors, with a permanent staff presence in Barcelona, London, Dublin and New York. Further content will also be provided by correspondents on every continent. “With ECigIntelligence we have found that a rapidly-developing industry has an urgent need for authoritative, unbiased, in-depth coverage of markets and regulation,” said managing director Tim Phillips. CBD, or cannabidiol, is the legal extract of the cannabis plant which is becoming widely popular as a personal health product, used for a range of purposes including pain relief and the treatment of anxiety.